Grow NJ Kids is a state-sponsored initiative to raise the quality of child care and early learning throughout New Jersey. 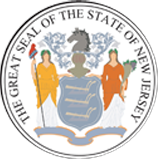 All types of programs can participate in Grow NJ Kids – a child care center, a school- or center-based preschool program, a Head Start program, as well as a registered family child care provider, who cares for children in his/her home. To create a standard way to look at child care and early learning, Grow NJ Kids provides families with an objective rating system. Based on the findings of a preliminary assessment that the child care and early learning program does on itself, trained professionals work with the program staff to address areas needing improvement. Then, a trained rater, using a comprehensive, research-based tool, formally assesses the program. A program can earn up to five stars, giving parents an easy way to compare and make an educated decision about what is best for their child. For a short video on how Grow NJ Kids works, click here. To find a participating program near you, click here.